Driving an 800+ horsepower performance car down a dragstrip is a pretty amazing thing. I speak from personal experience. The launch is best described as being fired out of cannon, as you race towards the 1/4 mile mark in about 10 seconds with a top speed around 140 mph. But that’s nothing compared to what things are like in a top fuel dragster. These insane nitromethane-fueled race machines have 10,000 horsepower or more, and run the same distance in about 4 seconds at speeds over 300 mph. I just can’t imagine what it must be like for a top fuel driver, as they go flying down the dragstrip, strapped into an explosion-prone rocketship. If you’ve ever wondered just how much faster these top fuel cars drive than conventionally-fueled race cars, check out this brief video. 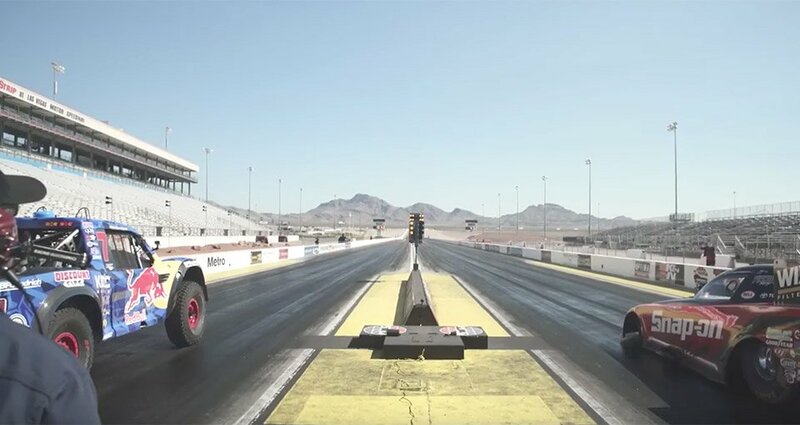 It shows off an 850 horsepower Red Bull off-road trophy truck, as it heads out on the dragstrip with great power and speed, but is quickly shown its place in the universe when a 10,000 horsepower dragster launches in the other lane. The truck might have done a tiny bit better on drag slicks, but it wouldn’t have mattered. 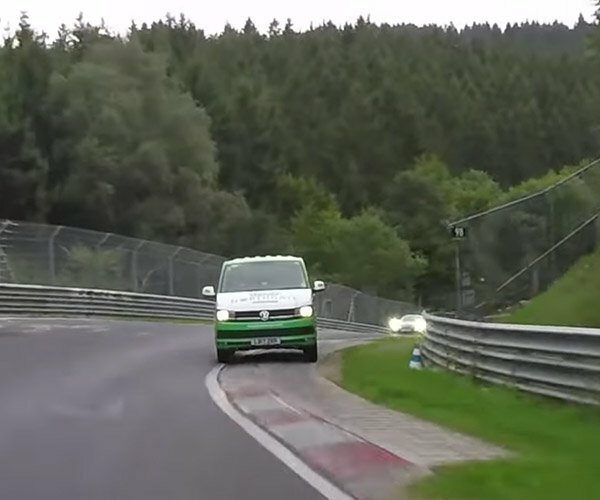 Even though the top fuel car is given a substantial launch handicap – it simply demolishes the truck which left the gate several seconds earlier, while rattling the on-board camera with such violence that the image distorts. It’s an amazing look at the power and fury of these nitro-powered monsters, and will humble anyone who thinks they own a really fast car. If you’re interested in learning more about the two vehicles featured here, check out the full video, created by Snap-on Tools.